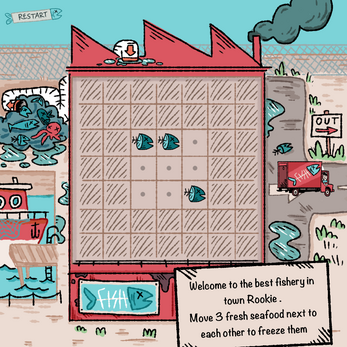 FISH is a match-3 puzzle game, with a fishy twist. Click and drag to match 3 blocks together, and instead of being removed from the board, they are frozen in place! Use frozen blocks to freeze other similar blocks, and be careful not to freeze yourself into a corner. It's gameplay fresher than these aromatic fish heads, 3 for £1! As the factory's new Line Manager, it's your job to freeze produce ready for transit. Once you have frozen a whole row, the frozen fish will be shipped out by our delivery driver. Be careful not to make any wrong moves! Take your time, consider your moves carefully. - There is no Game Over screen. 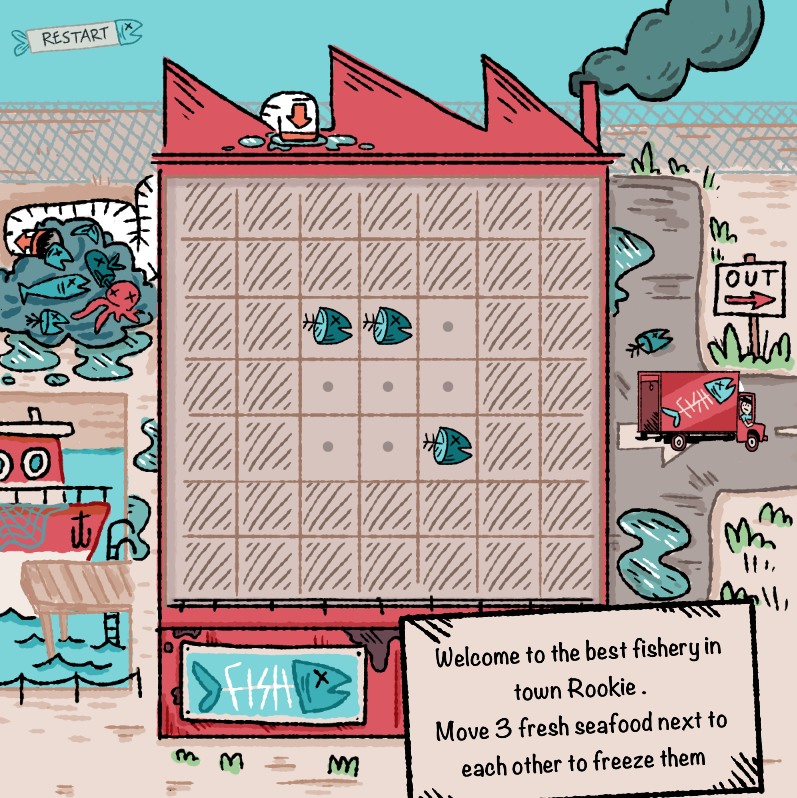 If there are no more moves available, the fish are just going to sit there getting smellier and smellier...Use the Restart button or press R to start a new game. No comments so far? Strange, because this game is very fun. It needs a high-score saver and more levels, and maybe different attributes for different stages - for instance, Level 2 could be called "Prawns" and requires a diagonal.